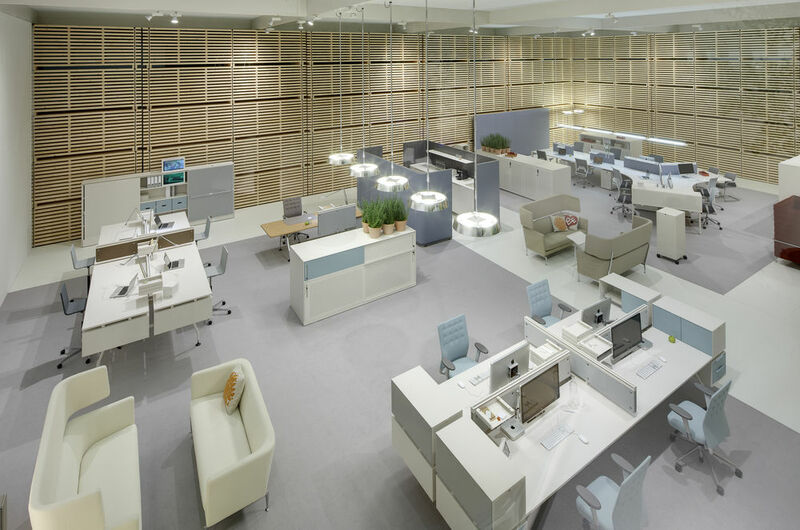 The first step towards designing an office space is choosing the optimal workspace layout for the profile of your company. This is a big open space with many workstations. Minimum floor area per 1 employee - 5.8 m2. 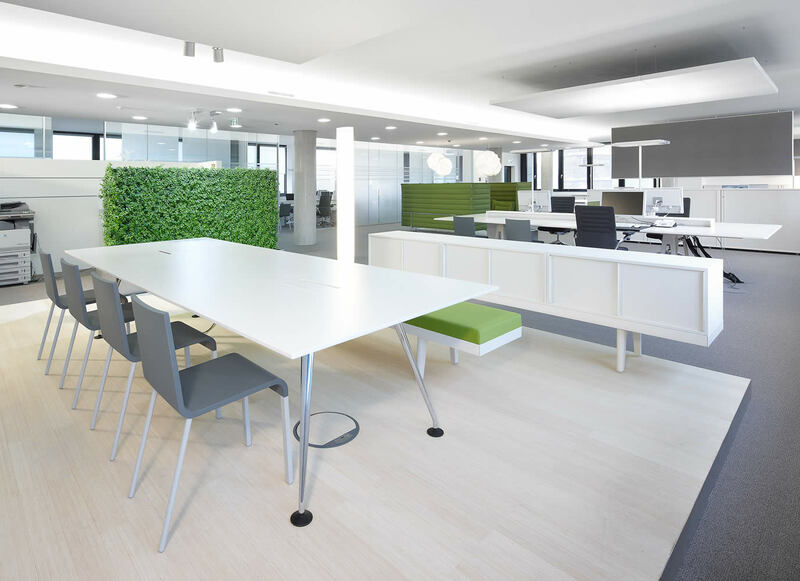 This office has a large open-plan area for the employees and adjoining spaces intended for meeting rooms and managers' offices, which can be partitioned by glass panels. Floor area per 1 employee - 10.2 – 18.6 m2. Floor area per 1 employee - 8.4 – 12.4 m2. Minimum individual room size - 20 m2. 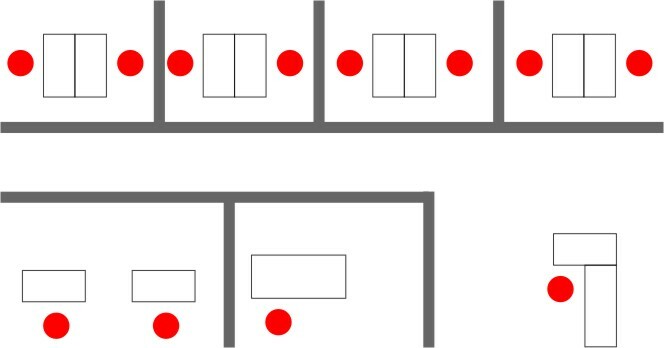 Once you have decided on the layout, you can assess how much space you need depending on the number of employees. Now we can start designing the office. 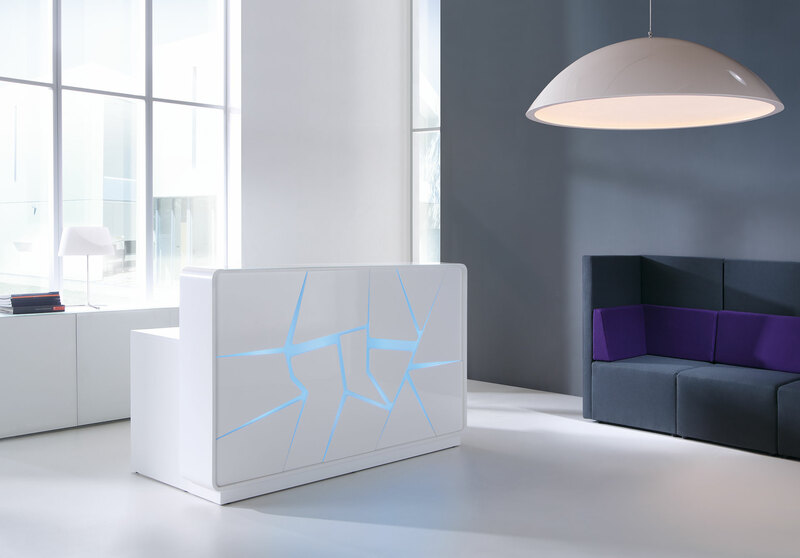 This is the company's showpiece - where your business makes its first impression. 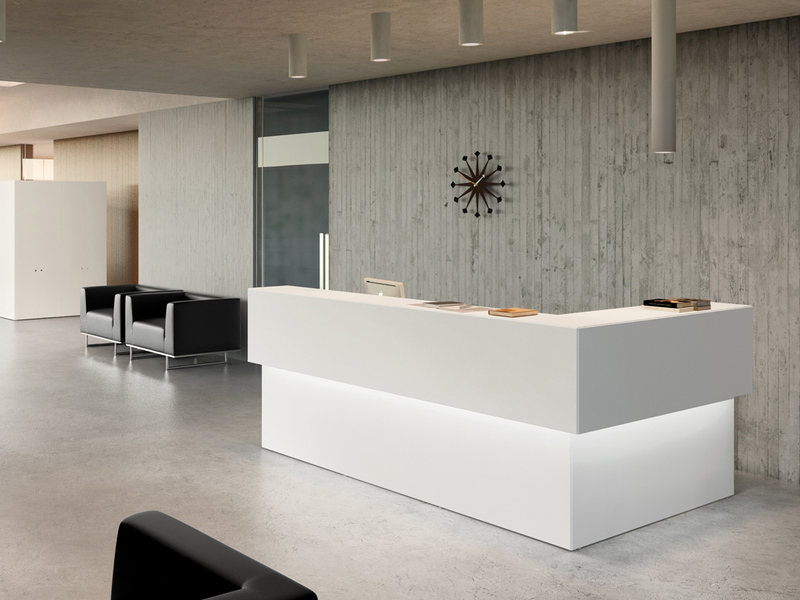 The reception area should reflect the nature of the company. Depending on your needs, it can be a small counter for one secretary or an independent space with a waiting room. 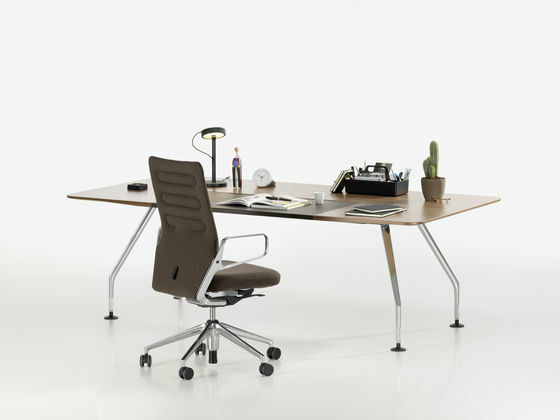 You might be surprised at the huge range of office furniture systems offered by suppliers. 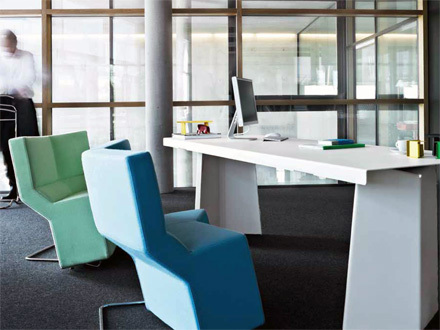 The solutions available on the market make it possible to design an office in any style. 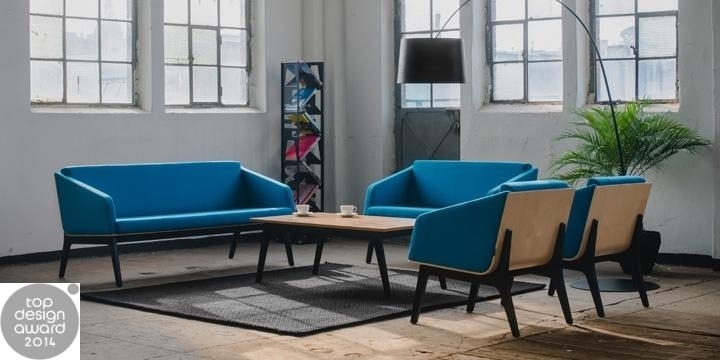 It is a good idea to differentiate furniture types between the employees and the management. Offices of the board or the owner should be located in the prestige zone, located directly next to the reception desk and conference room. The furnishings in this area reflect the status of the company. It is a good idea to arrange the conference space in a way that makes it appropriate for meetings with visitors from the outside, but also for consultations between employees, or as an additional workspace for someone who needs to focus or for a group working together. 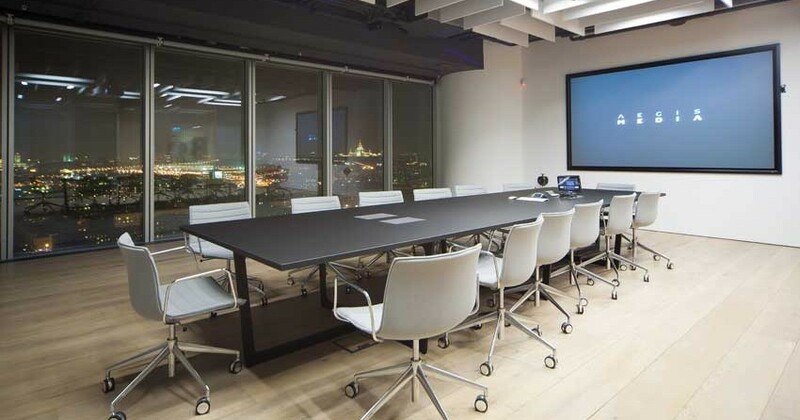 The conference table should be equipped with media ports for connecting electronic devices. Chairs should be suitable for long-term use rather than short meetings. Nowadays, this space should contain more than a toilet, a cupboard, and a kettle. 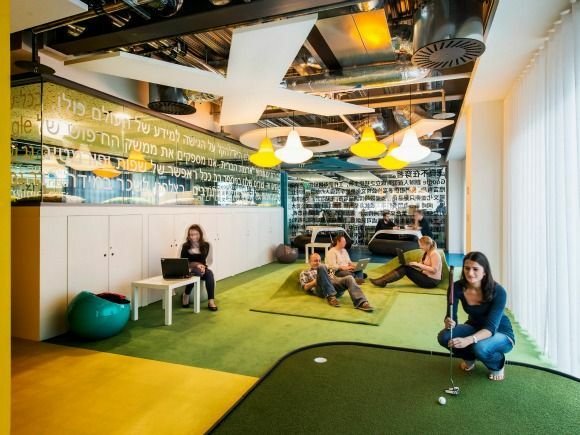 In large modern offices you can find breakfast rooms, relaxation rooms, and conversation zones. Such solutions raise communication efficiency and comfort of the employees. 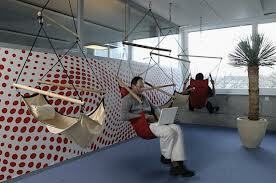 Moreover, a well-organized office space means the employees do not have to go out for lunch or a break. The opportunity to change one's working environment stimulates creativity. This area is only accessible by the employees, so it does not have to look especially professional.